The newest addition to Alberta’s heritage markers family. Alberta Culture is very pleased to announce the launch of its renewed Heritage Markers program. 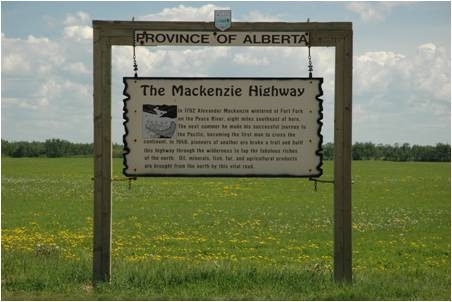 Albertans are familiar with the many roadside signs erected over the years by Alberta Culture to promote greater awareness of our province’s heritage. 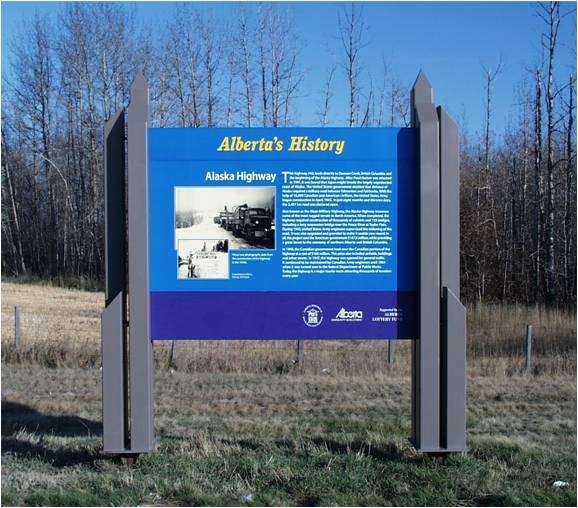 From the frontier-style signs of long ago to the robust “Big Blue” signs of more recent years, the Heritage Markers program has engaged travellers along Alberta’s highways and byways on a range of eclectic and compelling heritage topics. One of the “Big Blue” signs. The program is now taking a bold step forward and introducing dynamic new designs, greater flexibility of location, and more rigorous public engagement. 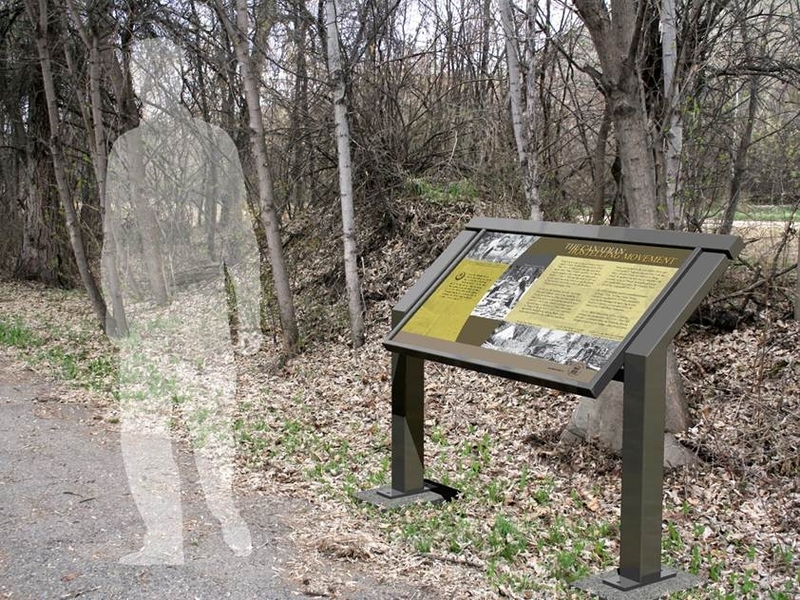 The Heritage Markers program has designed more modestly-sized markers that incorporate lively, more colourful interpretive panels. The markers are perfect for placement along trails, within parks, and in other public spaces. An early roadside sign in Alberta. 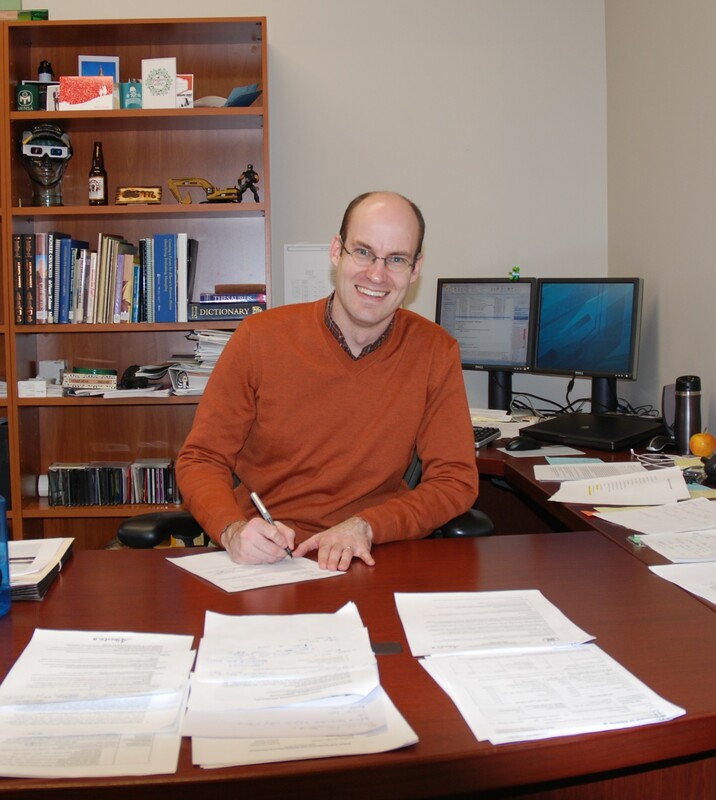 Albertans are encouraged to submit applications to the Heritage Markers program to recognize the people, places, and events that have shaped our province’s unique character. 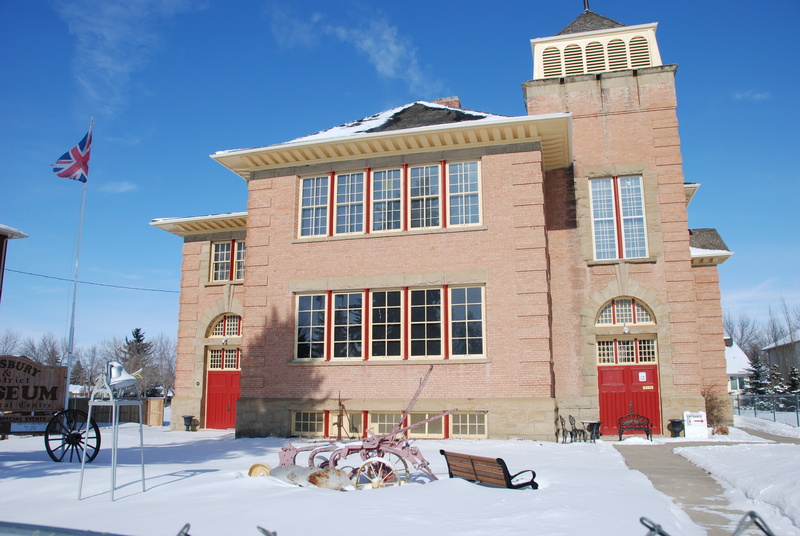 If an application is accepted, Alberta Culture will assume all the labour and costs of creating and installing a new heritage marker. If you think you have a heritage topic that Albertans should know about, please visit the Heritage Markers program website, where you can review the project guidelines and consider submitting an application. Please note that the next application deadline is October 1, 2012. If you have any questions about the program, please contact me, Matthew Wangler. 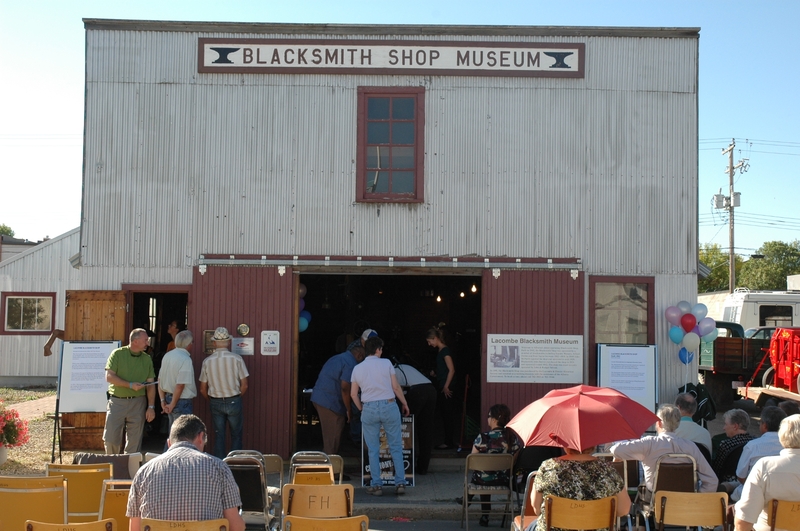 On September 24, 2011, the Lacombe and District Historical Society hosted an event celebrating the designation of the Lacombe Blacksmith Shop as a Provincial Historic Resource. Situated just off the City of Lacombe’s historic downtown, the blacksmith shop opened more than a century ago and is a tangible reminder of an essential craft during Alberta’s early settlement period. Present at the celebration was a veteran blacksmith and his young apprentice. Using traditional tools to shape modern creations, these two men embody the remarkable continuity between the historic identity of blacksmithing as a utilitarian settlement craft and its emerging face as a specialized form of artistry serving both ornamental and functional needs. 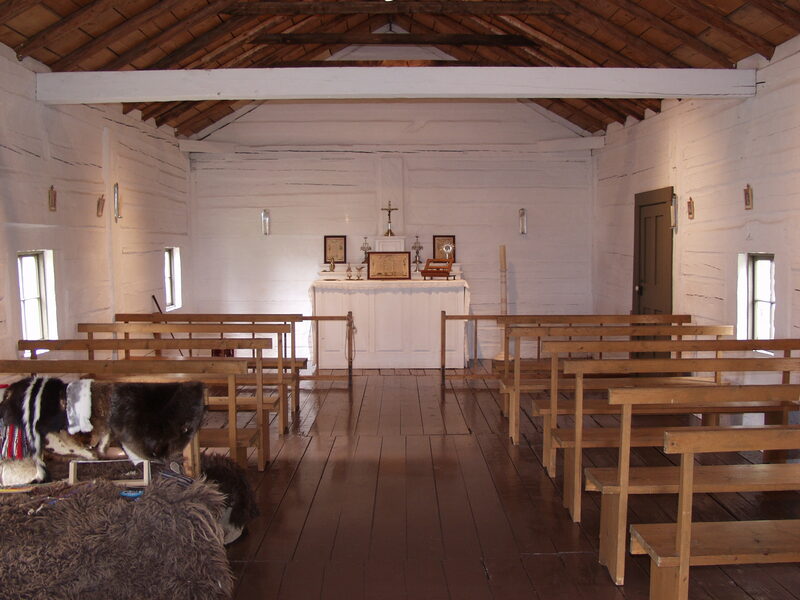 Read more about this event and the Lacombe Blacksmith Shop Museum by clicking here. 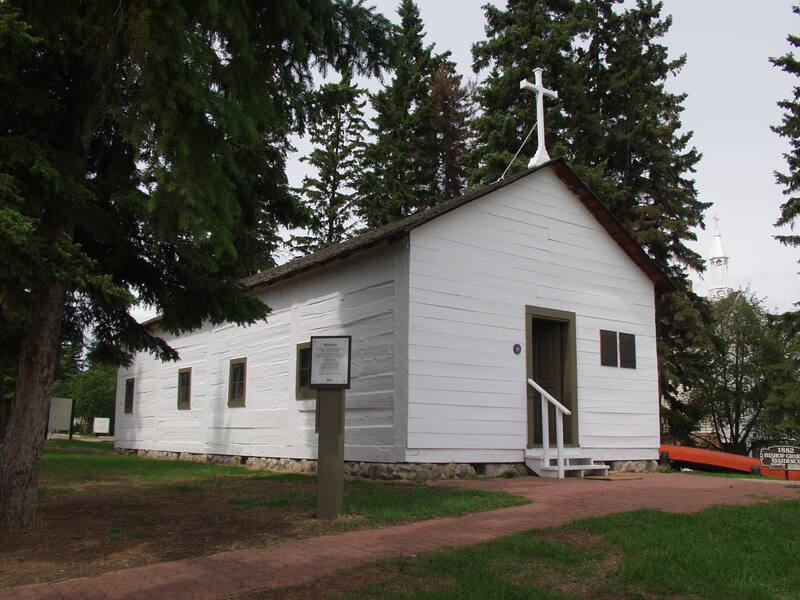 Learn more about this Provincial Historic Resource by visiting the Alberta Register of Historic Places.